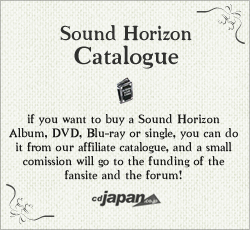 Back in 2001, December 30th of that year, Revo released the first album under the name of Sound Horizon, 1st Concept Story Plus “Chronicle”. He put on sale a self-produced print of 5,000 copies of that album, which would eventually lead to the fantasy band we all know and love. 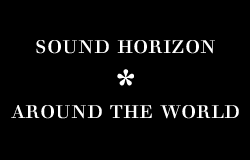 It’s been 10 years since that, and from White Crow we heartily wish this adventure will last 10 years more.